Five friends quit their jobs to chase what they love. Rent looms. Hilarity ensues. What if you had no daily grind, no soul-sucking job, and a few smart, passionate friends to watch your back and split the bills? Could you find a way to make ends meet and then pour every moment into what you really love? Five friends take the plunge to find out. Sushi and her roommate Summer are tired of working dead-end jobs for corporate drone bosses. So when their friend Alex quits his job and his roommate Zen proposes a grand experiment, they rope in their geeky friend Otto and move in together to build a life of art and freedom and tea and scheming. Of course, they still have to make rent, and the evil next door neighbor is hell-bent on getting them kicked out, and Summer may be just a little bit hopelessly in love with Alex. But it should all work out. Right? 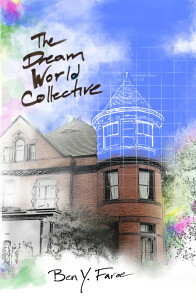 By turns silly and deep, daring and sweet, The Dream World Collective is a cozy romp for anyone who cares about creativity, community, and muffins. 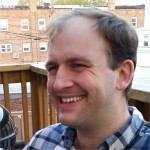 Ben is an author, writing coach, and analyst. He divides his time between Baltimore and several imaginary locales.